It’s that time again…. MOVING TIME!! At John Houston Custom Homes, we see families begin this process on a regular basis. In the past few months, our company faced a large move ourselves, into our new corporate office. Granted, we only moved one street over, it was still a move! Many people live and thrive on the excitement that comes with starting a new adventure. 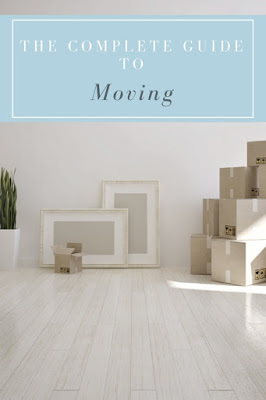 Others, are not as enthusiastic when it comes to pulling the house apart and packing up rooms that are filled with so many memories, just to turn around and unpack them. Whether, you enjoy the process or not, a few simple steps can be taken to avoid all the stress and headaches, making this process more enjoyable and less exhausting. First, you must take into account the amount of belongings that you will be moving. This will help you to determine whether it makes more sense for you to have family and loved ones help you move or if you should hire a moving company. Whether you pack up your home in a few weeks or if it takes a few months, don’t be afraid to ask for help! Having help can often relieve stress. Energy bills can increase tremendously during the summer months. In some cases, you can even go on a vacation with the amount of money spent on your electricity bill. I could spend a ton of time talking to you about how you should upgrade on your air conditioner, plant trees to help keep the sun out, and even persuade you to take cold showers. Although these things are very helpful, saving on electricity during the summer can be very simple and requires just a small amount of discipline. Read on for a few helpful tips! Are you preparing to purchase your first home? When you begin to consider making such a large purchase, it can often be intimidating and slightly overwhelming. 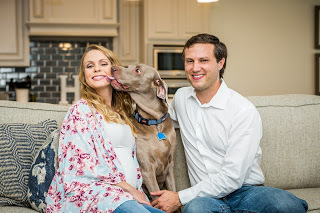 At John Houston Custom Homes, we understand the pressure that comes with this decision, and we are here to make this process enjoyable for your family. After all, your home will be a safe-haven, a place to build memories, and a place where you will find rest. Before searching for the right home, get your ducks in a row and start with these five tips! Now Selling! Don't Miss Out on This Exciting Community! The Cove at North Grove is one of John Houston Custom Homes newest Waxahachie communities. Phase I has just been completed and now Phase II is in progress. This brand new 1,200 home master planned community is located in the heart of Waxahachie and is thriving with the amount of growth around it. The Cove at North Grove is surrounded by retail stores, restaurants and the highly acclaimed Waxahachie ISD. It is slated to have an easily accessible children's playground, park, pools, picnic areas, pond, and over 5 miles of walking and biking trails. Whether you want to spend your evening in with your family or out exploring the neighborhood, you will come to know this new community as your own oasis. 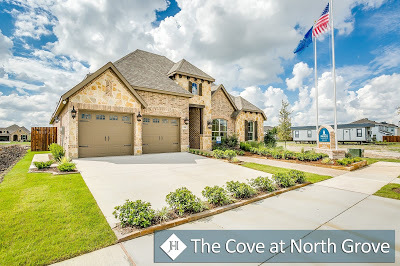 Visit The Cove at North Grove for more information.